Thin Mints are one of my favorite GS cookies and it's kind of a bummer that they're only around once a year. Don't those little girls know how much people look forward to seeing their smiling little faces outside the grocery store guilting you into buying at least 3 boxes cookies?? Actually...maybe it is a good thing they're only around once a year..
Who needs to buy cookies in a parking lot once a year when you can make them at home all year round? In a large bowl, cream butter and sugar. Add egg and mix until incorporated. Stir in vanilla and cocoa powder. Whisk baking powder, baking soda, salt and flour. 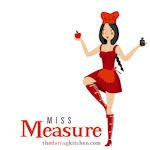 Using a wooden spoon, incorporate flour mixture into wet ingredients- mix until blended. Transfer bowl to fridge and chill cookie dough for at least 15 minutes. After chilling, turn out cookie dough onto slightly floured surface and roll out about 1/4 inch thick. 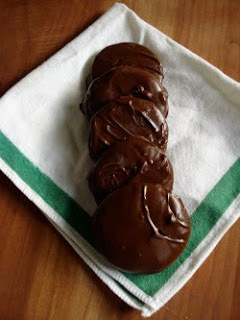 Cut out cookies using a small (2-inch) round cookie cutter. Place cookies on parchment paper lined baking sheets and bake for 10 minutes. 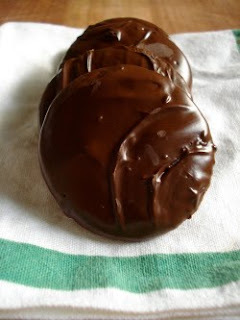 In a double boiler, melt chocolates and stir in crisco until smooth and creamy. Once cookies have cooled they're ready to be dipped. Using tongs or a fork, dip cookies into chocolate until completely coated. Transfer dipped cookies to parchment paper lined baking sheet for chocolate to set. Allow cookies to set for at least a couple of hours before eating. 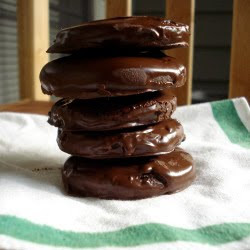 I like my Thin Mints cold, so as soon as the chocolate was set to the freezer they were sent until I was ready to indulge in these wonderful little minty cookies. These also turned out to be a perfect Father's Day cookie to send to Daddy Tom who is now on month 6 of his tour in Afghanistan. I'm just a girl, baking her way through this world. swEEts ©. Powered by Blogger.